You know what you want to do. But you’re scared to do it. You think about it a lot. But you don’t take the next step. You’re tired of going through the motions. But you won’t make a move. You talk yourself out of it every time. You can come up with all kinds of reasons not to do it. If you wait until you can afford to get married, you’ll never get married. If you wait until you can afford to have kids, you’ll never have kids. If you wait until you can afford to start a business, you’ll never start a business. If you wait until you can afford to follow your passion, you’ll waste your life away. You’ll feel more stress. You’ll be sick more often. You won’t live while you’re alive. And you’ll die earlier than you should. You can’t afford to wait. 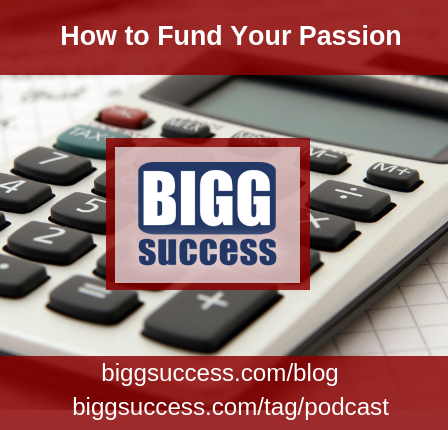 You can’t afford to suppress your passion. You have to go for it. You have to reach for BIGG success! 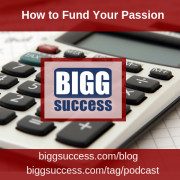 https://biggsuccess.com/wp-content/uploads/2015/07/BIGG-Success-Nurturing-Your-Inner-Entreprener.jpg 0 0 George Krueger & Mary-Lynn Foster https://biggsuccess.com/wp-content/uploads/2015/07/BIGG-Success-Nurturing-Your-Inner-Entreprener.jpg George Krueger & Mary-Lynn Foster2011-01-28 06:00:052011-01-23 17:54:08Can You Afford to Follow Your Passion?